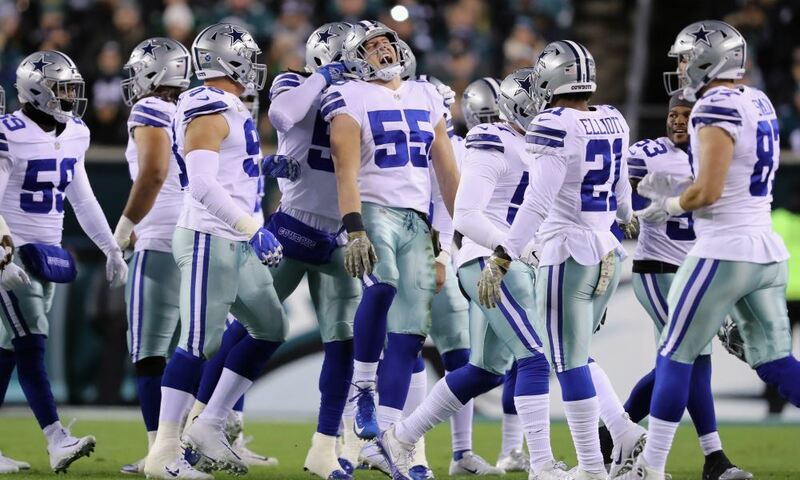 When the Dallas Cowboys start training camp in July, there will be various feelings of job security throughout the 90-man roster. Throughout the NFL, players know when they're already locked in to a position or role on a team or when they're fighting for survival. Today, we're going to look at how secure the Cowboys' players should feel in 2018. This not only applies to if they make the final roster, but also their position as a starter or key roleplayer. The offensive players were covered earlier this week. So naturally, today we're going to focus on the defense. Immediately, you will notice a sizable difference in the number of players on certain tiers between offense and defense. For example, the top tier on offense had six players and there are only these two on defense. That is to be expected when one of side of the ball is under renovation and the other is more established, as is the case in Dallas. The investments made in the offensive line have already paid off and there are clear starters in place at quarterback and running back. The Cowboys are still waiting to see if recent picks like Taco Charlton, Maliek Collins, or their two young corners eventually become clearly entrenched starters. As it stands, they have only have two guys who have clearly defined starting roles in 2018. One of them is the franchise-tagged DeMarcus Lawrence, whose breakout 2017 season has made him one of the premiere pass rushers in the NFL. He will be back next year, and hopefully for many more to come, as the crown jewel of the Cowboys' emerging defensive line. He will get as many reps as he can physically handle. 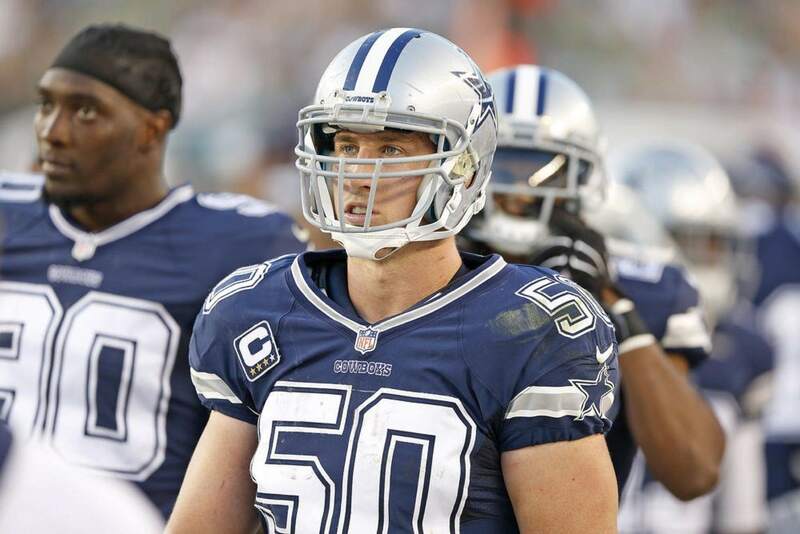 The veteran leader of the defense, Linebacker Sean Lee, will also return to his starting role. As long as his body holds up, Lee will be a fixture on nearly all defensive schemes and packages. 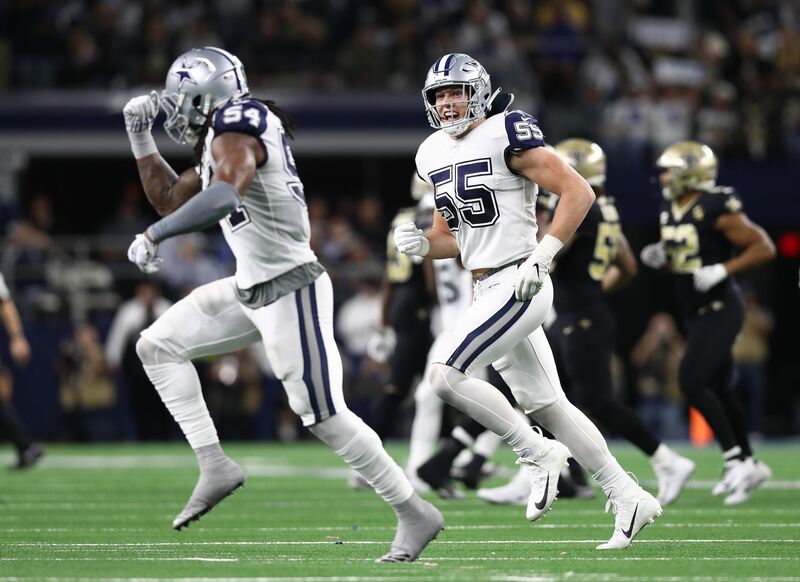 We could see more rotation with Jaylon Smith or Leighton Vander Esch as the team prepares for the future, but Sean will be a clear first-teamer throughout the year. These young players should all have significant roles on the team, and almost certainly as starters. However, their youth does leave the slightest room for questioning. Every report you hear about Jaylon Smith right now is glowing, both his play on the field and his medical progress. If it holds through August, he should be a starter and major factor right alongside Sean Lee this season. Any kind of injury setback with that knee, though, and Dallas could easily get scared into limiting his reps. Damien Wilson is still here if the Cowboys start wanting to limit Smith's reps again. As for the corners, Awuzie and Lewis are looking like one of the best young tandems in all of football. But with Byron Jones moving back to corner, Dallas may elect to have him as a starter and move one of the sophomores into a nickel role. That said, in the modern NFL there are essentially three starting cornerbacks on defense. Teams utilize their nickel scheme more than any other these days. So no matter what, Chido and Jourdan will both be on the field a lot next year. Tier 3 - On the Team, But Where? These next two tiers are heavy, and that speaks to the ongoing makeover of the defense. Of these two groups, anywhere from 6-9 players won't make the 2018 roster. There are a lot of options on the defensive line right now, but Taco Charlton's first-round pick keeps him safe in just his second year. His positive play to close 2017, and good reports out of the spring camps, cement his being on the team next year. Rookie Dorance Armstrong, drafted in the fourth round last April, should also make it on draft stock alone. Veteran Tyrone Crawford is back for probably his last season, and his ability to play end or tackle gives him value despite a bad contract. Maliek Collins also returns, hopefully getting healthy and back to his rookie form after a slump last year. Jihad Ward, a former second-round pick that Dallas traded for during the draft, should also make it. David Irving is too good to cut but his recent struggles and absence from camps and OTAs put a question mark on him. How big a role will Irving get next year if the team loses confidence in him over the remainder of the offseason? Battling for playing time at linebacker will be first-round rookie Leighton Vander Esch and veteran Damien Wilson. One will start in the base defense and one will be a key reserve, but that competition should be fun to watch. Byron Jones and Anthony Brown could challenge for starting roles given their experience edge on Awuzie and Lewis, but at the least they will be talented depth. Yesterday, I considered the possibility of Brown being traded before Week One but odds are he will be on the squad next year. At safety, there are three guys competing for two starting spots. Will veteran Jeff Heath be able to fight off the young prospects Kavon Frazier and Xavier Woods? No matter what, all three will be on next year's team. And that's even if a certain safety from Seattle gets added, too. You might think of veteran Kony Ealy as a roster lock, but his minimal one-year deal means Dallas could go with younger players if they ultimately decided to. Ealy should make it on his experience and the upside Dallas still sees in him, but $200k is the only thing guaranteed for him right now. If he gets reinstated, Randy Gregory's return to football will be one of the most interesting stories this year. He could be exactly what this team needs as an athletic edge rusher, or his absence from the game may be too much to overcome. The same goes for Charles Tapper, whose ongoing injuries have kept the fourth-round pick from securing a role on the team. There are several interesting prospects for the remaining defensive line spots; more than Dallas can keep. Datone Jones was an emerging force last year and should make the team, but guys like Richard Ash and Brian Price are younger and still growing. Lewis Neal was a preseason darling last year but has a lot of competition at that 3-tech tackle spot. Rookie Chris Covington was a sixth-round pick and we've seen those guys not make the team before. There is a lot of opportunity at linebacker, though, so hopefully he can find work against more experienced depth options. Justin March-Lillard and Joe Thomas may be competing for the sixth and final LB spot this year. Who will round out the CB depth chart? Rookies Kam Kelly and Charvarius Ward are getting buzz now, but last year it was Duke Thomas and Marquez White drawing interest. With only one or two spots for these four talents, the competition will be strong. If Dallas keeps four safeties this year, Marqueston Huff has a leg up with his experience. He has played in 41 professional games for other teams since being a fourth-round pick 2014. 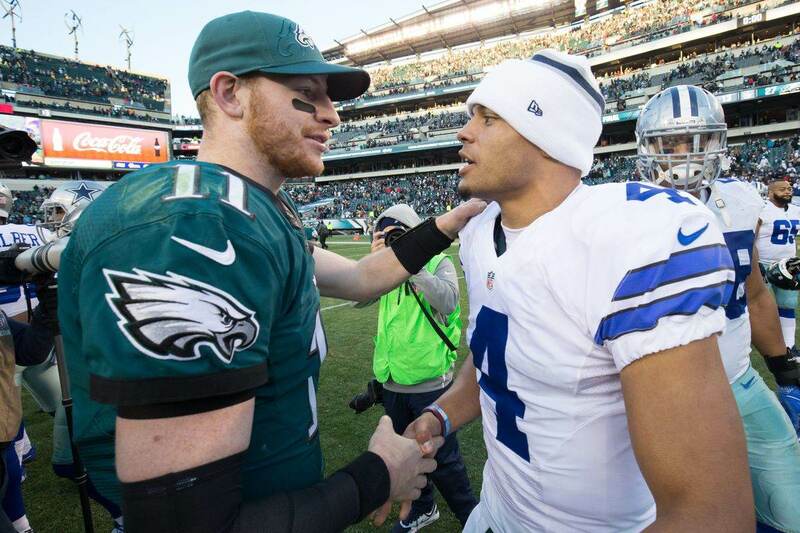 Given the youth of Frazier and Woods, Dallas may lean toward a veteran over the far younger prospects competing with Huff. With so much talent already on the bubble, it's going to be hard for any dark horse player to break through this year. However, almost every season sees someone come from nowhere to make a roster. 2018 could be no different. Some guys have experience, like Defensive Tackle Daniel Ross. He was in the CFL from 2015-2016 and then bounced around a few NFL teams last year. He got some playing time last year after being a late-season addition by the Cowboys, but has an uphill battle against younger prospects this offseason. Many of you likely have your own rooting interest among the longshots. Perhaps they went to your college or you just got intrigued by something you saw or read. We wish them all the best, but predicting any of them to make the team this year would be a stretch.